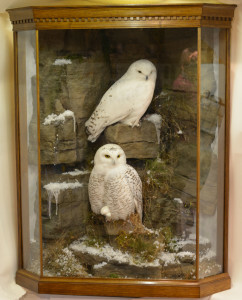 UK Guild of Taxidermy Conference again. It is always great to see old friends and meet new members, I like many other UK taxidermists look forward to the annual taxidermy conference meetings and Competitions. 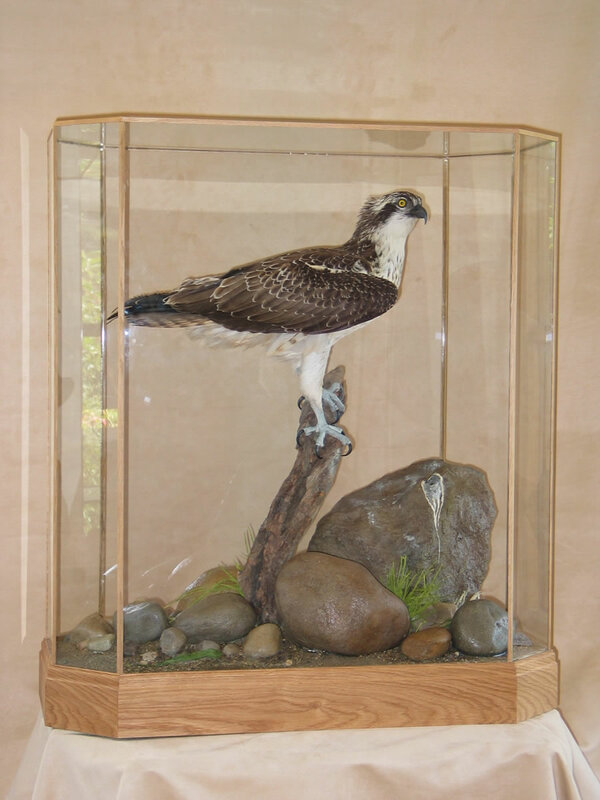 We were expecting the talented German Taxidermist Yvonne who was going to do a talk on PEG, but unfortunately she had major family problems and could not attend, I am really hoping she can attend at another meeting. We then needed another Speaker and that fell on me with half a days notice ahhh ! 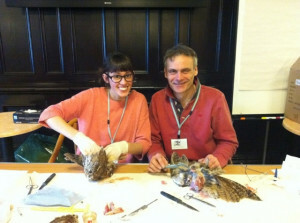 I did a Lecture on measurements and bird anatomy during the skinning of a Tawny Owl, I also had a former student helping me Jaz miles-long. 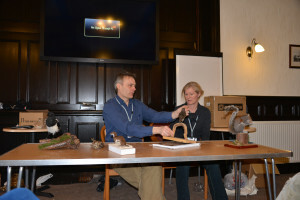 I spoke about the need to take good measurements and skinning techniques. Jazmin did an excellent job of keeping up and is showing great potential. I also ran through my reference sheet I use to keep accurate bird measurements. My new Bird Taxidermy Measurement Sheet is going to be part of my new bird book if I can eventually get it finished and stop adding to it. On Sunday I ran the “Doctors Surgery” again. 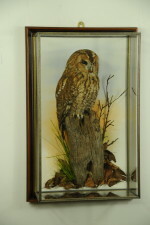 This is the opportunity for a taxidermist to get some help and constructive critic on there work, I had four items this year to critic and about 50+ attending the lecture the specimens were good items to critic and the students seemed happy with the comments and help given it is good to see them eager to learn. 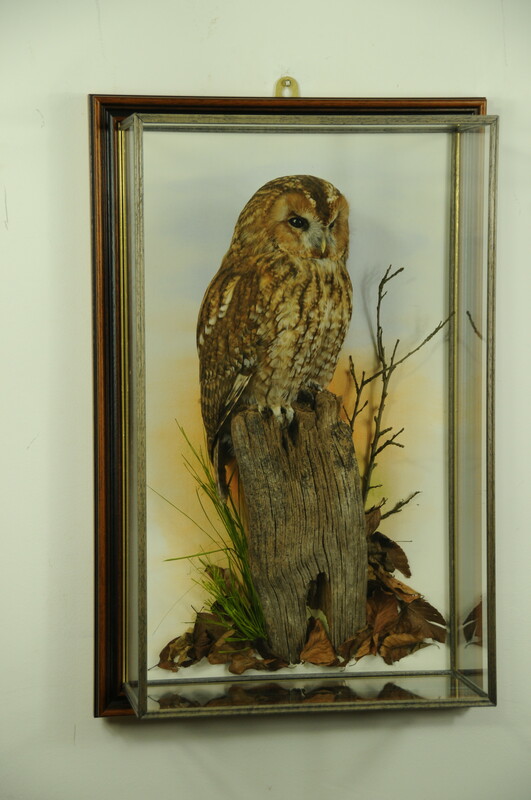 This year I had to take quite a few specimens to take down for customers so had a van full of work, all taxidermy items needed to be registered or left in the van overnight so thought I would register them so they could be displayed. 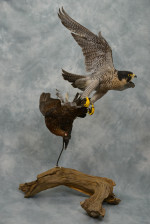 The items I worked on for the competition this year were Gyrfalcon and Peregrine Falcon flying in snow. The Gyrfalcon on Rock lost the “UK Bird Competition” to an very nice Bittern by William Hales this meant he broke my six year run so well done to William, it did however just manage win the new “Breakthrough Judges Choice Best of Show” shield. My Peregrine Falcon entry was mounted in flight having just struck a Red Grouse, the support wire ran from the Peregrine falcons leg into the grouse then from the grouse into a branch. 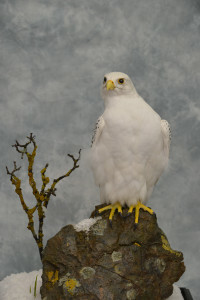 This bird unfortunately was not up to scratch and it excluded from the UK Bird Taxidermy competition. 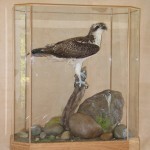 Have a look at and see if you can spot the errors Bird Taxidermy gone wrong. This is a pair of Snowy Owls in a corner case, was awarded the “Best Cased item” and “Best Groundwork” Trophy’s. 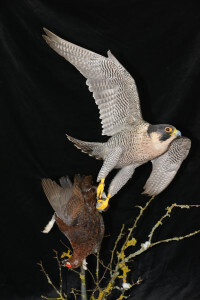 You can never predict competitions I never expected this case to win anything and had put all my effort into the Peregrine falcon and Gyr, The goal of competition is to make you try and improve and over the years I have seen some amazing improvements in fellow taxidermists work. Watching other taxidermists looking at some of the better pieces of taxidermy I feel you can hear them pondering on new ideas and what to try for next years conference. 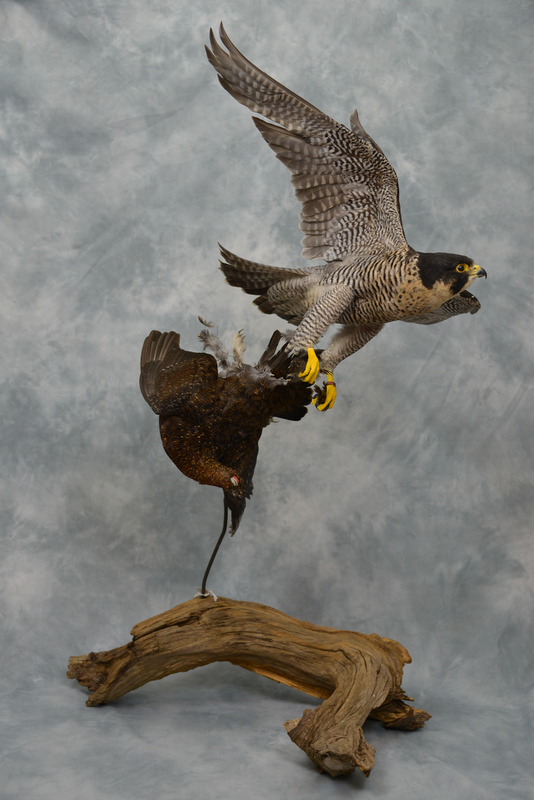 This Peregrine that was my Demo attempt for the competition using a bird in moult. The Other items were Stoat, Tawny Owl and Osprey.